RODIO is an industrial research project developing a scalable solution to address the complex challenges of remote condition monitoring (RCM) of rail tracks. The RCM challenges identified by Network Rail include tree fall, rock fall, trespassing, animal intrusion, landslide and subsidence. The emerging internet-of-things (IoT) technologies can offer low-power and remote sensing and data communication for the RCM problem. However, technical and scalability challenges include powering and maintenance of sensors and wireless connectivity in network wide, remote and harsh environment. The project aims to develop near real-time detection and identification of intrusions and obstructions on rail tracks. The system performance will be analysed and evaluated through a live pilot deployment in Network Rails test track in Melton Mowbray. Tata Steel are also a project partner and have identified used cases for use on track that are integrated to their manufacturing and production process. Vortex IoT have also generated interest from the likes of IBM and Hitachi Consulting. 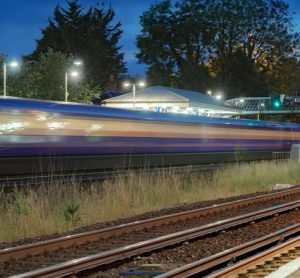 Exploitation and deployment of low-power IoT solutions, artificial intelligence and edge computing on the existing rail network will deliver state-of the-art RCM systems which will be beneficial to the UK rail infrastructure, train operators, passengers and freight customers. The project team including IOTICS, Vortex-IOT, Fincore, TATA Steel UK and Network Rail Infrastructure, brings together multi-disciplinary expertise, resources and skills from IoT, Machine Learning and Edge Computing to heavy industry and key rail-sector partners. We have a blend of private angels and state funding via the Development Bank of Wales. We successfully raised sub £1m for early stage growth and anticipate a Series A funding round in late 2019 early 2020.